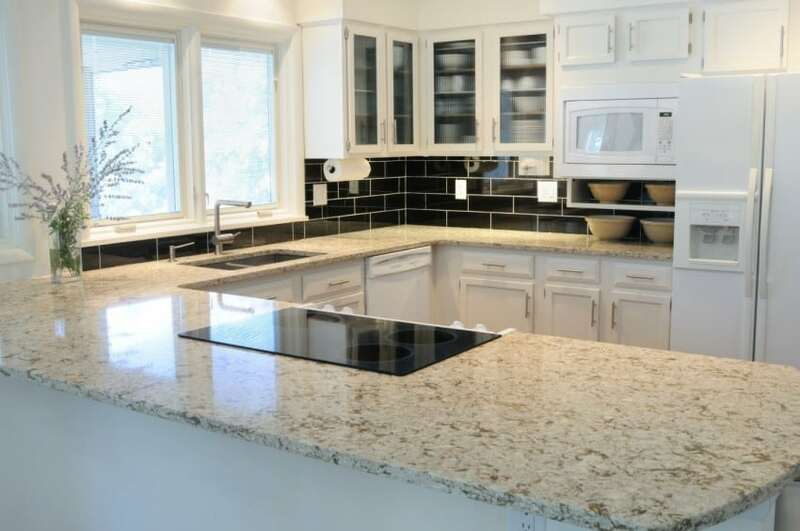 Whether you are remodelling or moving in to a new house, choosing countertops can feel like a difficult task. Here is everything you need to know. A minor kitchen update like changing out the countertops to granite can help sell a house 38 days quicker. Those 30 square feet have a big impact. There’s so much information to take in when choosing countertops. There are dozens of surfaces to choose from. Materials range in cost from around $5 to several hundred dollars per square foot. You’ll have to determine thickness, edge-type, finish, color, and your interest in upkeep. Wouldn’t it be nice to have a cheat sheet? Consider it done. Here’s your handy countertop comparison guide. Are You in the Midst of Choosing Countertops? Before you head out to the stone yard and get your heart set on an arctic white slab of granite, set a budget. Don’t even look at things outside your price range. This will take away the risk of overspending. Your budget should be consistent with your property value. Ideally, you’d make your home suit your perfect taste and live in it forever. But people move house, and countertops don’t travel well. Choose countertops that fit the price range of the house. No laminate in a million dollar house. No Calacatta marble with waterfall edge in a starter home. Keep in mind that there are additional costs for sink cut outs and certain finishes. A huge single slab for an island will also increase costs. 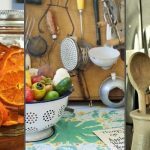 There’s a wide range of different countertop materials. These are some of the most common. Granite is a natural stone formation. Its various minerals form that speckled look and gives it different colors. It’s very hard and very durable. Granite countertops are among the most popular for home renovations. This is because they hold up so well to normal kitchen use. There’s no fear of scratching or burning the surface. The cost of granite is between $40 to $100 per square foot. Made up of mostly calcite, marble is a softer stone and patinas with age. It’s high maintenance and can stain and etch easily. In a historic home, this aging adds to the character of the house. The characteristic veining in marble is unique and beautiful. Marble is also great for bakers and pastry chefs because of its interaction with dough. It costs around $50 to $150 per square foot. Soapstone is another natural stone material. Dark green, gray or black, with white veining, it provides an instant moodiness. An occasional application of mineral oil can make it look more rich and even. The surface of soapstone is non-porous and stands up well to heat. It has a smooth, soapy feeling when wet, which is how it gets its name. As a softer stone, it does get scratched but not to the detriment of its appearance. Soapstone costs $70 to $120 per square foot. Engineered stone, often referred to as quartz, is a man-made material. Its meant to mimic natural stone. It combines minerals, including quartz, with color and resin. This yields an almost indestructible surface. Cambria quartz costs $59 to $139. If you’re looking for seamless countertop, solid surface is the way to go. The combination of acrylic, polyester, and pigments arrives in slabs. They’re grooved to fit together and secured with epoxy. A quick sanding and buffing process eliminates the seam altogether. Solid surface isn’t as cold to the touch as stone. It’s only heat resistant, so take care with hot pans. Buffing removes most stains and scratches. The cost of solid surface countertops is $52 to $120. With particle board as its base, laminate is the most budget-conscious countertop. It’s also the most customizable with endless patterns to choose from. You can choose anything from a stone-look to cheerful kitsch. Though it’s not high-end, it’s come a long way since the 1950s. Different profiles and better image printing allow it to imitate different materials at first glance. Laminate costs $16 to $28 per square foot, and the ease of installing it yourself can save you even more. Wood butcher block countertops are made from bonded wood strips. Wood goes with just about anything and gives the kitchen a homey warmth. It’s not without maintenance, though. You’ll have to stick to an oiling schedule to keep the wood protected. While it’s susceptible to water damage, butcher block is easy to refinish. Sanding takes care of gouges and scratches. Wood countertops cost $30 to $65. 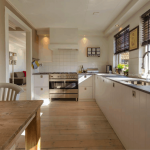 Countertops made of concrete are gaining popularity. You can choose prefab pieces or have them poured in place in forms. They require a curing period, regular sealing and waxing. Concrete countertops are easy to get wrong. They can crack, discolor, and etch. If you’ve chosen concrete, though, some of that adds to the industrial vibe you’re probably going for. Concrete costs $85 to $100 per square foot. 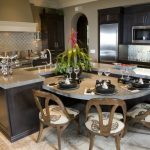 Once you’ve compared kitchen countertops and settled on a surface, it’s time to figure out the finishing touches. Most countertops come in a variety of edges that allow you to customize your look. Square and eased are standard. There’s also a beveled edge, miter, bullnose, ogee, French cove, and others. If you’ve gone with a natural stone, you’ll also have to decide on the texture. Polished granite is the default. This shiny treatment seals pores and intensifies the stone’s colors and features. A honed finish has a smooth, sanded matte appearance. It looks well-worn and aged and hides scratching and etching. It does make the surface more vulnerable to spills, which will need to be cleaned up right away to avoid adding a sheen. Stone can also have a leathered finish, a process that pits the surface with a nubby, leather-like feel. This rustic finish highlights the natural beauty of the slab. The process of choosing countertops may not be easy, but it can be less painful. It comes down to cost, materials, and finishing touches. Once you know the basics, you can make an informed decision that you’ll be happy with. 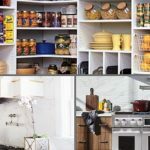 Are you replacing more than your countertops? 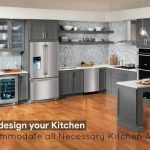 Check out our kitchen category for ideas and comparison guides. We’ll help you decide on cabinets, color schemes, and all those finer details.